Carwow has revealed the shortlist for its 2014 awards and Volkswagen has appeared four times in the running. In the Best City Car category the plucky Volkswagen Up! has been nominated. 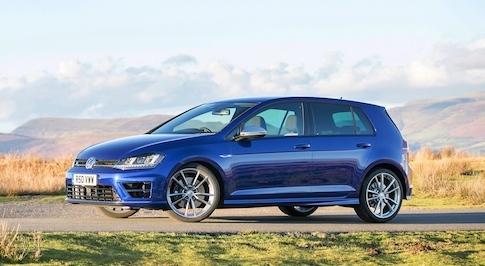 The Volkswagen Golf R, unsurprisingly, has made the list for the Best Hot Hatch, while the standard Golf was named in the Best Family Car category and the e-Golf in the Best Electric Car list. The awards celebrate the vehicles that have struck a chord with UK car buyers, and that have been most roundly praised by the UK's leading motoring experts. The awards have been judged based on models 'wowscore results from carwow.co.uk's aggregated reviews, along with input from the site's team of motoring experts. James Hind, founder and CEO of carwow.co.uk, said: "Every car on the shortlist has brought something exceptional to the UK car market. These awards really celebrate the fact that car buyers in this country have never had a better choice, no matter what their budget or needs." The winners will be announced at the start of December.